Thanks to our great customers for their feedback! Never have I had a dessert that both looked so beautiful and tasted so amazing. The dessert table was the hit of the night and EVERYTHING got eaten! I'm not sure how you got the cupcakes and cake pops to be so moist, or the cookies to be so flavorful, but man oh man! Thank you! Megan and the crew at District Desserts are AMAZING. From the onesies for my daughter's baby shower, to the cookies and cookie pops for my new grandson, the cookies for Miriam's Kitchen staff and volunteers, and soon to receive cookies for my granddaughter's 2 year birthday, they are delicious and the decorating on the cookies is wonderful. Yum! And thanks for making gluten free cookies as well! I can't thank you enough! The recovery medallion cookies were a huge hit! You worked so hard coming up with different prototypes for me. The cookies were not only beautifully decorated, the tasted wonderful too. 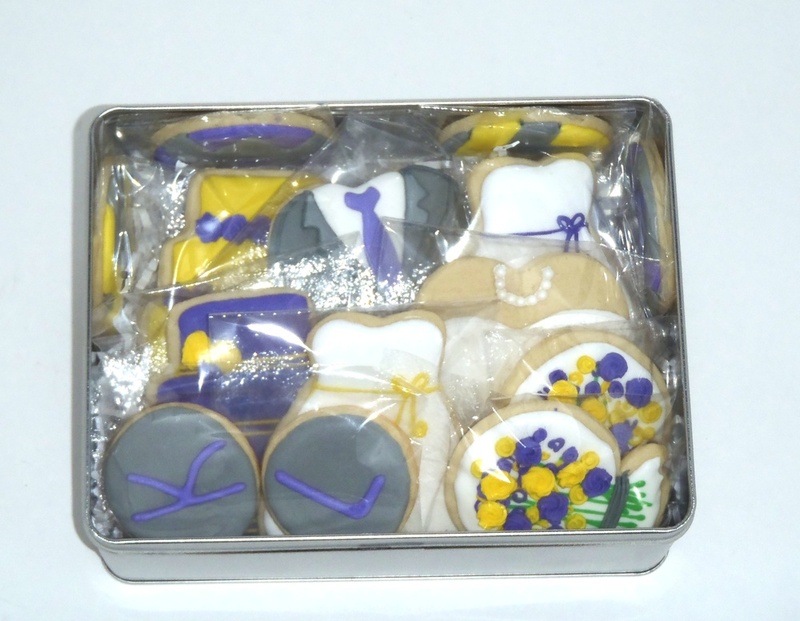 Guests were so impressed with the cookies, they took them home with them as souvenirs. District Desserts made custom cookies for my daughter's birthday party and they were AMAZING both in appearance and taste. Will definitely be working with them again! District Desserts catered my graduation party and everything was delicious! The treats were the talk of the party and guests even snuck inside to steal a few before dessert was brought outside! 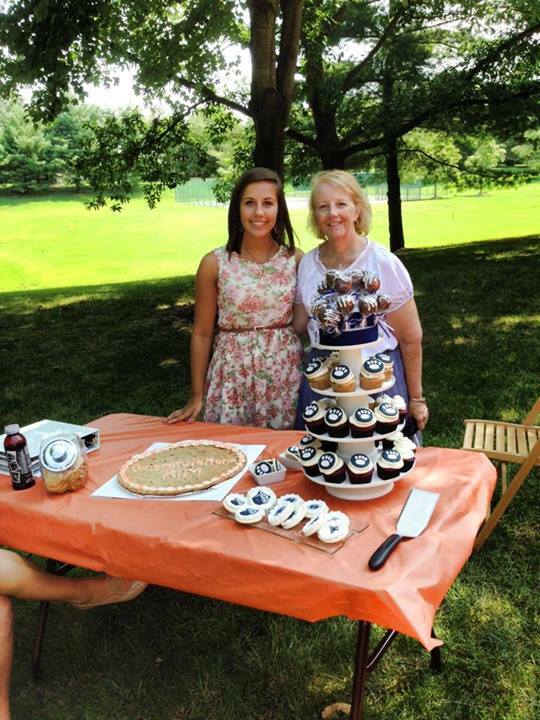 The Penn State cookies and cupcakes were beautifully detailed and the cookie cake melted in your mouth! Thank you so much for making my graduation truly memorable! After listening about our party plan, they creatively worked up an excellent and delicious arrangement: themed cookie cakes, sugar cookies shaped like Chewie, C-3PO, and Yoda, a great box of cookies (definitely ask them for the Nutella ones), and some amazing party favors that wow'd our guests as they left. The cookie cakes in particular were fantastic, and they offered a wide range of options in terms of flavors. I would strongly recommend District Desserts to anyone looking to impress and delight their guests with a variety of treats. Check them out. I was so thrilled to receive my custom order for my best friend's wedding. They were so gorgeous and she almost didn't want to eat them because they were too pretty. They were more than I had ever imagined and it helped get my friend excited for her upcoming wedding. Megan was extremely flexible, helpful, and easy to work with especially considering that I ordered with only a few days notice. I wasn't quite sure what I wanted but she helped get a sense of the wedding and her creative liberty really paid off. Oh and they were obviously delicious! I will definitely order again!